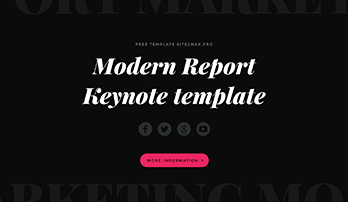 “Modern Report” free key template - Free Download Now! 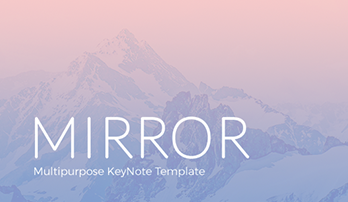 We are glad to represent a “Modern Report” free key template to you. It is a new presentation with an elegant design. It is available for Keynote versions. The template includes 19 unique slides. It is decorated in black and white colors with rare inclusions of purple. A presentation design is austere, elegant and refined. To make this template more stylish we combined in it several free Google fonts (Playfair Display, Montserrat, PT Sans) and an “Elegant” font for icons. In the background of the second slide mountains are depicted. Thus, the template looks classical and charming. The “Modern Report” free key template is equipped with all necessary elements to make your project clear, understandable and creative. Above different ways of information arranging are demonstrated. Thereby, there are slides with text, pictures and combined ones. On one of the slides a world map is shown. This let you represent information in a new way. 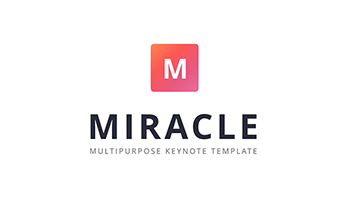 The template is multipurpose; it can be useful for everyone due to its creative design and a great variety of slides. If you like it, do not doubt and download it for free. This presentation will help you to bring your bright ideas and projects to life.